The HATSUNE MIKU EXPO (referred to as the "MIKU EXPO" below) was the first world tour for virtual singer Hatsune Miku and started with concerts in Indonesia in May 2014, continuing on through the US, Taiwan and China. Later, after a long wait, concerts were also held in five locations throughout Japan as part of the first Hatsune Miku Japan tour, named the HATSUNE MIKU EXPO 2016 Japan Tour (referred to as "MIKU EXPO Japan Tour" below) starting April 2016. The last concert in the tour on April 10 was a particularly hot topic due to the live broadcast of the concert on WOWOW TV. 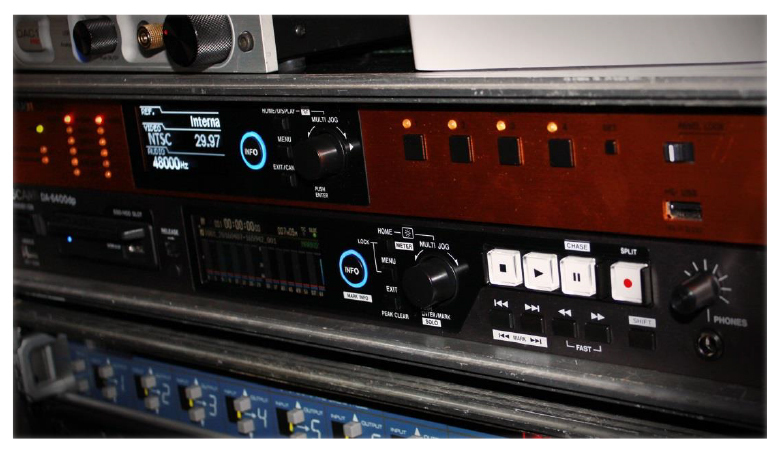 The Japan tour concerts were recorded using the DA-6400 64-channel digital multitrack recorder. The CG-2000 master clock generator was also used as the master clock. We had a chance to talk with Kei Suzuki, the sound producer for Hatsune Miku, in late April after the tour finished. In the interview he shares his thoughts on the DA-6400 recording system used during the tour, as well as some secrets about sound at Hatsune Miku concerts that you're unlikely to hear anywhere else. TEAC: First and foremost, you did a great job on the MIKU EXPO Japan Tour! TEAC: Everyone was talking about the concerts, weren't they? Can you start by giving us an overview of the recording system you used to record the concerts? Suzuki: It was the DA-6400 that I had originally been interested in using, but it turned out that we were able to borrow the CG-2000 word clock generator as well, so we made that our master clock, set it up on our main mixing board, and used a MADI router to split from there. We used a MADI splitter to send recording data to the DA-6400 and Studio One systems as well as to WOWOW for the live stream. TEAC: The live broadcast on WOWOW was quite a hot topic, wasn't it? the audio signals are sent to WOWOW in analog. So we created a mixdown in Pro Tools and sent the signals after converting it to analog. WOWOW mixed the crowd mics with this analog mixdown in the live broadcast. TEAC: What recording format did you use? Suzuki: We recorded in 24bit/48kHz. 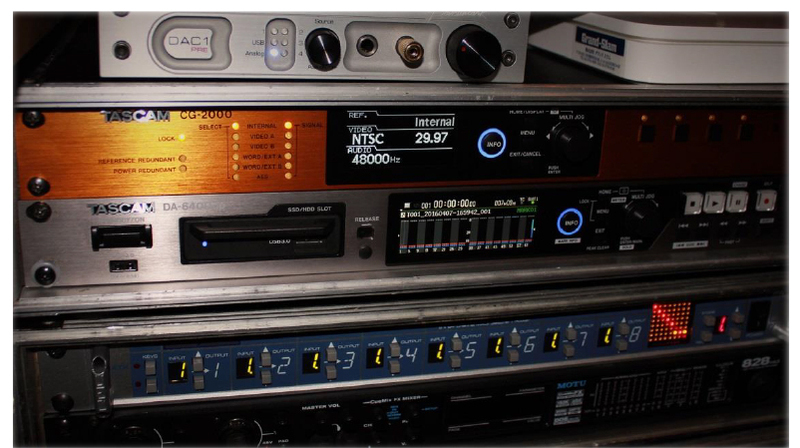 TEAC: How did you find using the DA-6400? TEAC: Do you use MADI a lot? Suzuki: I've been using it for the last three or four years now. Sometimes I have to record overseas, so I wanted a recording setup that's as compact as possible. That's why I was so interested in trying out the DA-6400. 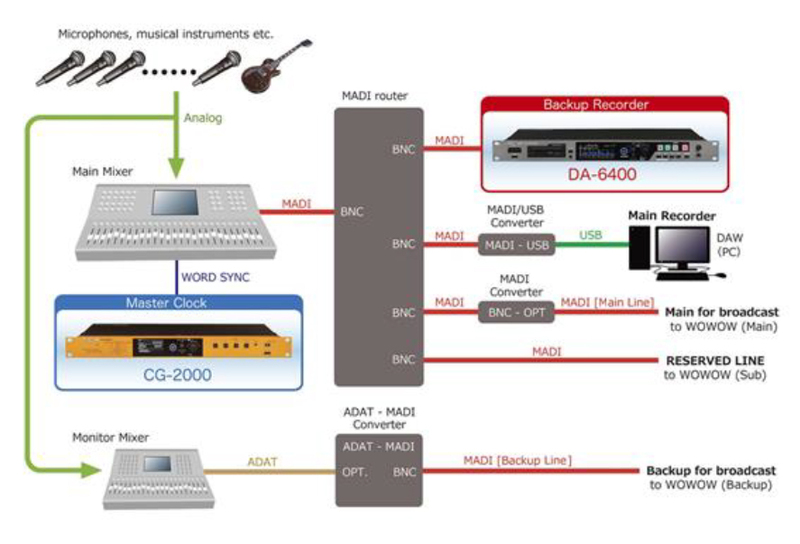 If I just set up an MADI, then I can use it easily record in 64-channel. The recording component was incredibly simple and stress-free which was really helpful. I'm normally doing most of the sound stuff by myself, so that's another reason I wanted something reliable and easy to operate. So it was particularly helpful in that regard. TEAC: How long were you recording for? Suzuki: We recorded twice, for two hours at a time, with both times at 24bit/48kHz. We didn't have any problems recording that long. Once we finished I just copied and saved the data. It was really easy. TEAC: It's particularly quick if you use a USB 3.0, isn't it? Suzuki: Yes, that was great. You can just release the SSD storage case from the slot on DA-6400 and connect it to other device through USB straight away. The file names were easy to understand as well - everything was super easy. Even without the track name, it's easy to find a track so long as the order is the same as on the track sheet. The fact that the user interface was so simple was great. 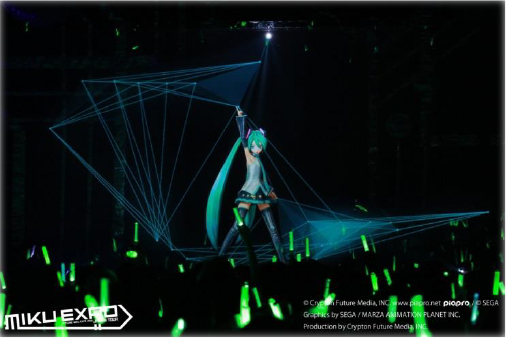 Suzuki: I did the mixing for the official recording from last year's Hatsune Miku Magical Mirai 2015 as well, and I was very particular about how I used the audience as well as mixing in 5.1 surround sound. Normally it's pretty easy to get a delay. You know how there's an often delay between when the actual sound is played and when you hear the audience cheering or singing along when you mix live audio? When I put it all together for the official recording I always adjust the delay according to the sampling base. This time round I had just one request of WOWOW. I wanted them to do the same thing in real time. I heard that they could adjust the positioning of the mixdown we gave them against the audience recording, so I had them adjust the audience delay based on the mixdown WOWOW recorded during the first performance. We started at about sample rate at 3,000 Hz ahead but that was nowhere near enough so we got them to bring it forward by another 800 Hz which eventually got the sound close to what you'd get in an official concert recording - you could hear the sound of the audience in time with the music and it made you feel like you were there yourself. The sound was so great it made you question whether it really was a live streaming. Everyone at WOWOW was pretty impressed. Even though they'd broadcasted hundreds of live concerts, it sounds like that was the first time they'd been able to stream live to that standard. So it was a great result - they said they enjoyed the process and that made me happy too. TEAC: You did all this for live streaming? Suzuki: That's right. I mean, there were more people listening to the broadcast then were actually there at the concert. So we thought the quality of the live stream was pretty important too. Regarding the concert voice signal from the MADI, we had WOWOW get in an audio engineer and have them adjust EQ and phase as needed. That's one of the benefits of having a single-line MADI where you can increase the channels as needed - but even then, we did more than you'd normally expect for a live stream. That said, wanting to get a live broadcast as close as possible to the quality of an official recording might just be a personal thing I'm fussy about that most people wouldn't get. TEAC: You're really looking at audio as a whole rather than just live mixing, aren't you? Suzuki: Yes. If you put it that way, I guess I do get involved in all aspects of audio. Find out more about the DA-6400 here. 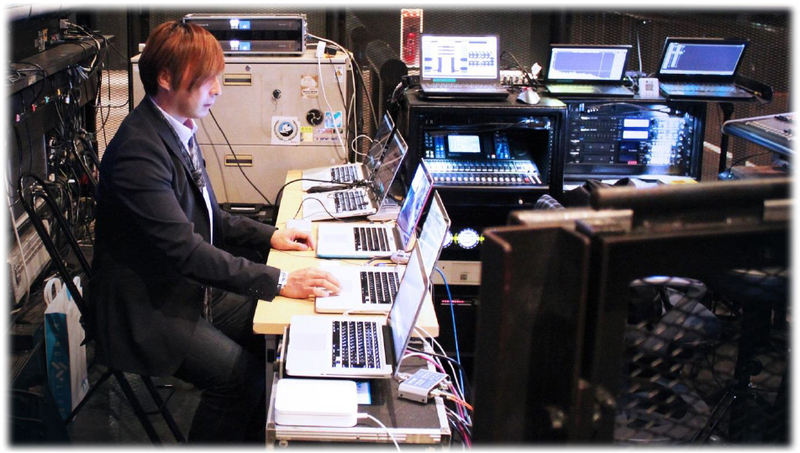 About: Kei Suzuki is a professional composer, arranger, and sound engineer who manages everything from sound production through monitoring, recording, mixing, and transferring at live concerts.